Congratulations on your total ranking. 5 X 5 for your creations. Great start, have fun, good luck. Beautiful gallery, 7 amazing creations 5 for each. 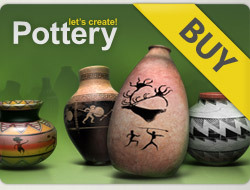 Hello, nice gallery, I invite you to visit my profile, feel free to rate my pots:) I voted some of your pots without comments. Have a nice day.